A record number of people applied to join NASA’s elite corp of astronauts, more than doubling the previous high mark set in 1978, the space agency said on Friday. About 18,300 individuals applied for the agency’s 2017 astronaut class since the application process opened on Dec. 14, far exceeding the 8,000 who applied in 1978. NASA will select between eight and 14 people for their class of 2017, a process that will likely take 18 months. In November, NASA announced it would open up at least 8 positions after a four-year hiatus from hiring new astronauts. Since 1959 NASA has chosen more than 300 astronauts and currently has 47 among its ranks. But with an increase in spacecraft development and the potential for a historic manned deep-space venture to Mars, the agency is attempting to bolster its ranks. NASA is looking for representatives from a variety of fields including pilots, engineers, scientists and medical doctors and will whittle down the applicants from thousands to hundreds before a training program commences. Left: Astronaut Mike Hopkins, Expedition 38 Flight Engineer, is shown in this handout photo provided by NASA as he participates in the second of two spacewalks which took place on December 24, 2013. 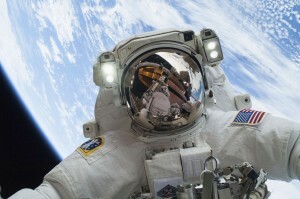 A record number of people recently tendered applications for open astronaut positions with NASA. Photo by NASA/Reuters.